Calle Fernando Hernández Echerri #54 (Calle Cristo), entre Piro Guinart (Calle Boca) y Simon Bolivar (Calle Desengaño), Trinidad. 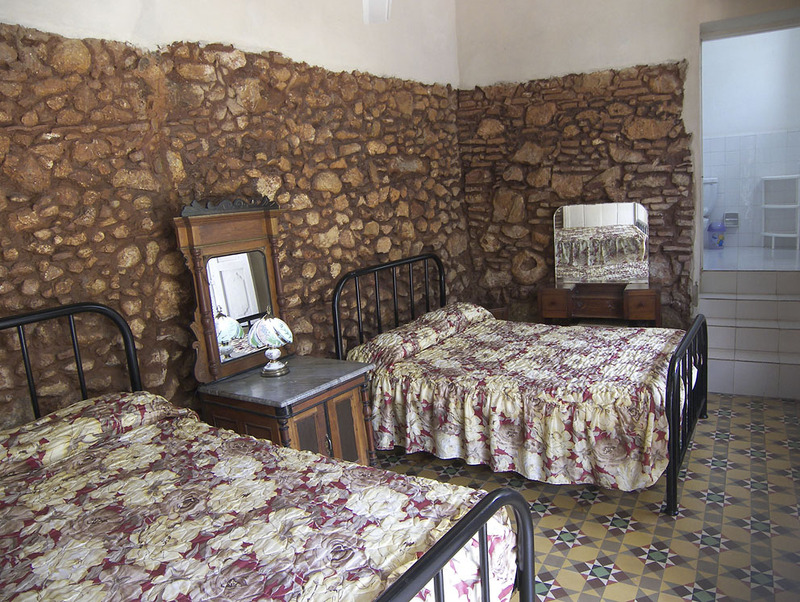 Liliana, an English speaking retired geologist, rents two clean and comfortable rooms in her majestic colonial casa particular. 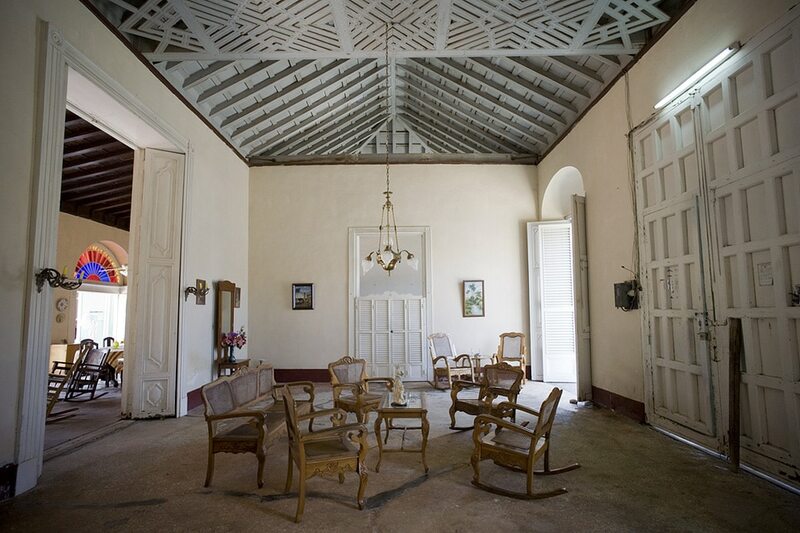 The casa dates back to 1808, its original architecture and furniture has been preserved, and the casa is famous for having been the dwelling of the town historian. 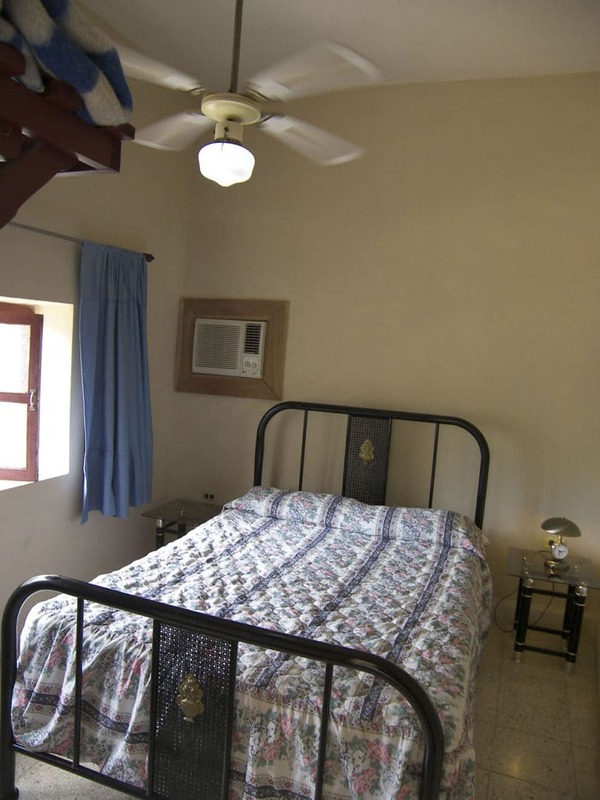 With it’s perfect location next to the Plaza Mayor, breezy flowery patio and friendly hosts, this is an ideal option for your stay in Trinidad. 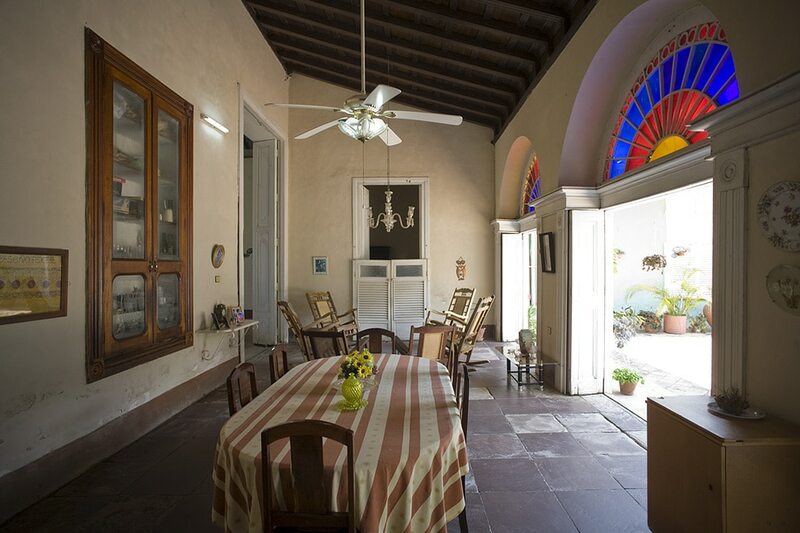 Beautiful casa particular in Trinidad, right in the heart of the old town. We stayed four nights and couldn’t fault it. 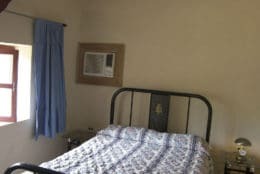 Comfortable and in a great location. Be aware they don’t speak English. But we got by with sign language and a phrase book. 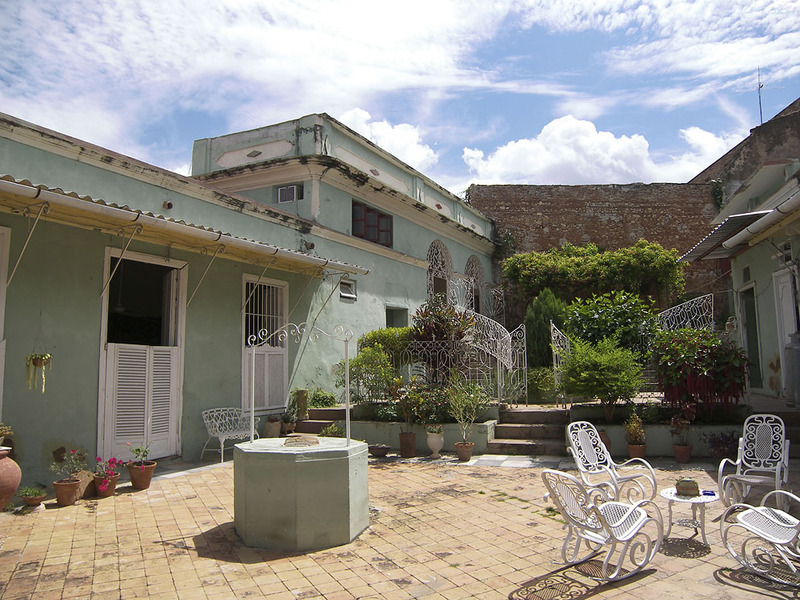 We've stayed here for 4 nights and loved this casa particular in Trinidad, and her staff too. Despite nobody spoke any English, we've managed to get to know each other a little bit and really would recommend to stay here!The room we've stayed in was very spacious, the bathroom was very clean and large. Location couldn't be better!Only remark; the laundry was a little bit expensive. Some shorts, t-shirts and underware; 8 CUC! 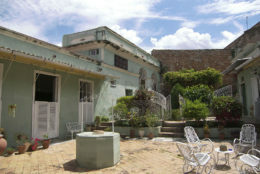 Fantastic casa particular in Trinidad - great location just off the main square.Beautiful house, good breakfasts and very helpful and hospitable hosts.Was lovely chatting to Liliana in the gorgeous dining room at breakfast time.She also helped us organise taxis and excursions.Stay here if you're going to Trinidad, you won't regret choosing this casa particular! Really special casa particular in Trinidad, literally right in the centre of the historic old town. 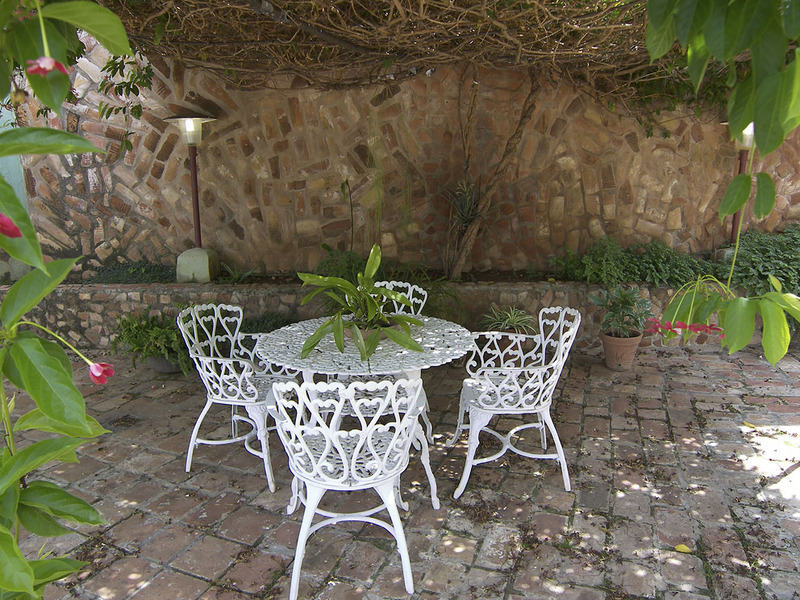 We couldn't believe how good the location was. 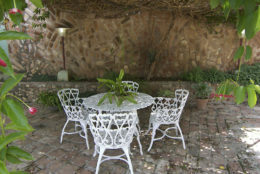 It is a really beautiful house, with a big living room/dining room, a lovely courtyard and nice rooms.Liliana was very friendly, chatty and helpful.The breakfasts were good quality and filled us up.Would recommend this casa without reservation!